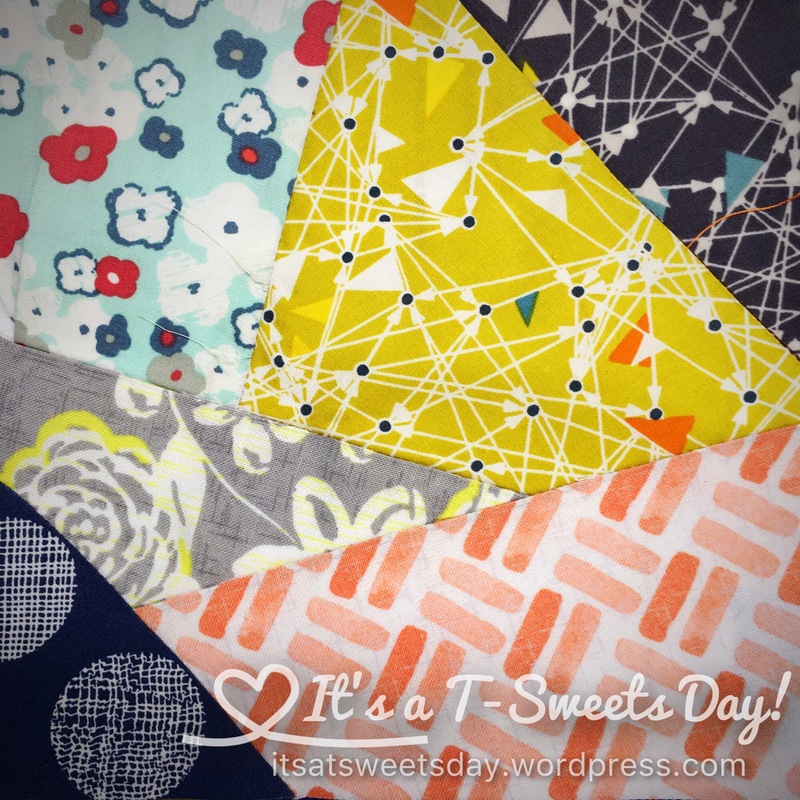 A few More “Splendid” blocks – It's a T-Sweets day! 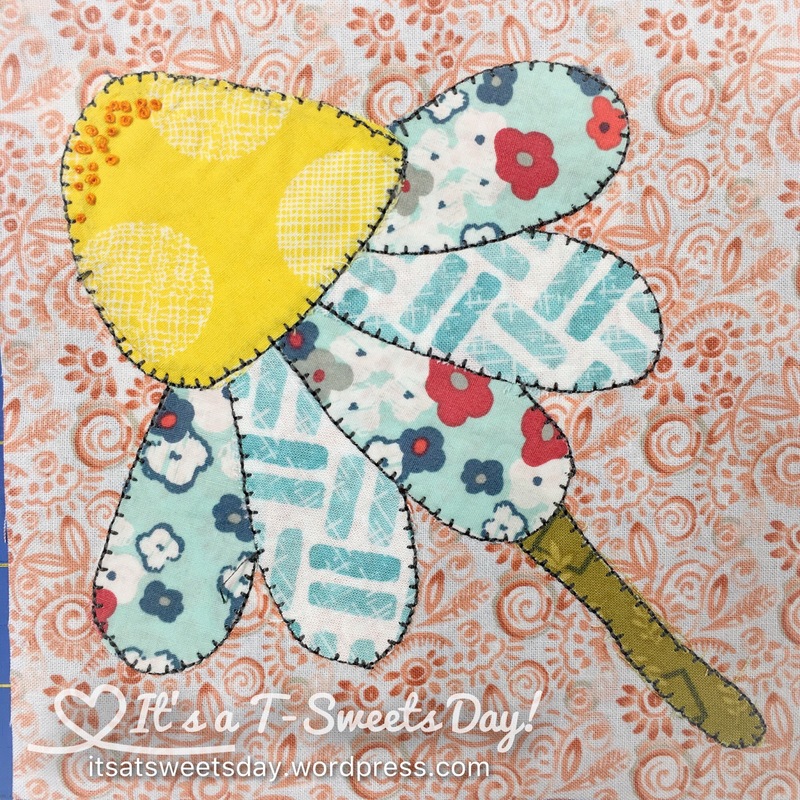 Published on August 24, 2016 August 24, 2016 by Tracy @ It's a T-Sweets Day! I wish I could say that this catches me up, but no- I still have a few more to go. And of course they are the intricate paper pieced bee and a few appliqué and embroidered beauties. Oh well, enjoy the journey, right? I really ended up liking the pin cushion block. At first I thought my fabric didn’t lend itself to it, but now I think it is my favorite of today’s Splendid blocks. I used to have a tomatoe pin cushion. I bet we all did! 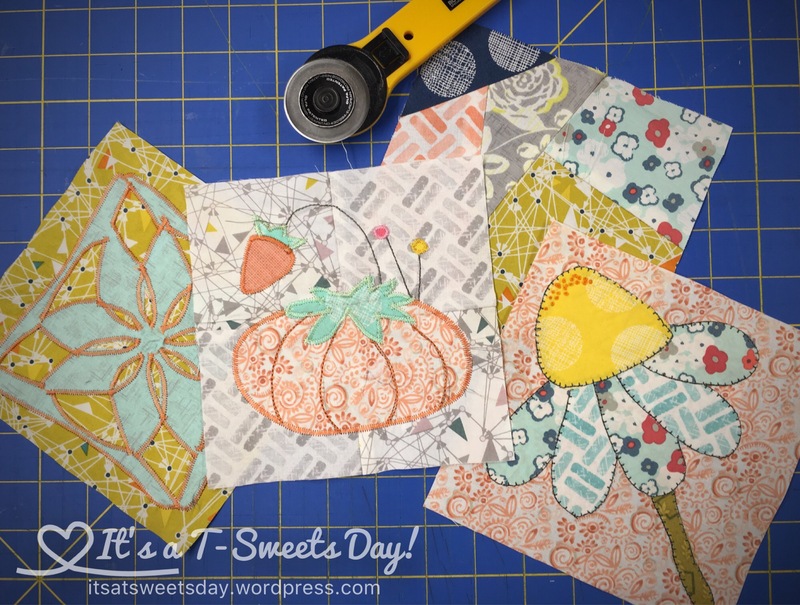 The paper pieced crazy block was a breeze to put together. I like how it showcases the fabrics. Is this getting easier, or am I just getting better?! I made a mistake on the cone flower block, but covered it up with a slightly larger yellow center. I’m sure you can tell now that I have pointed it out. 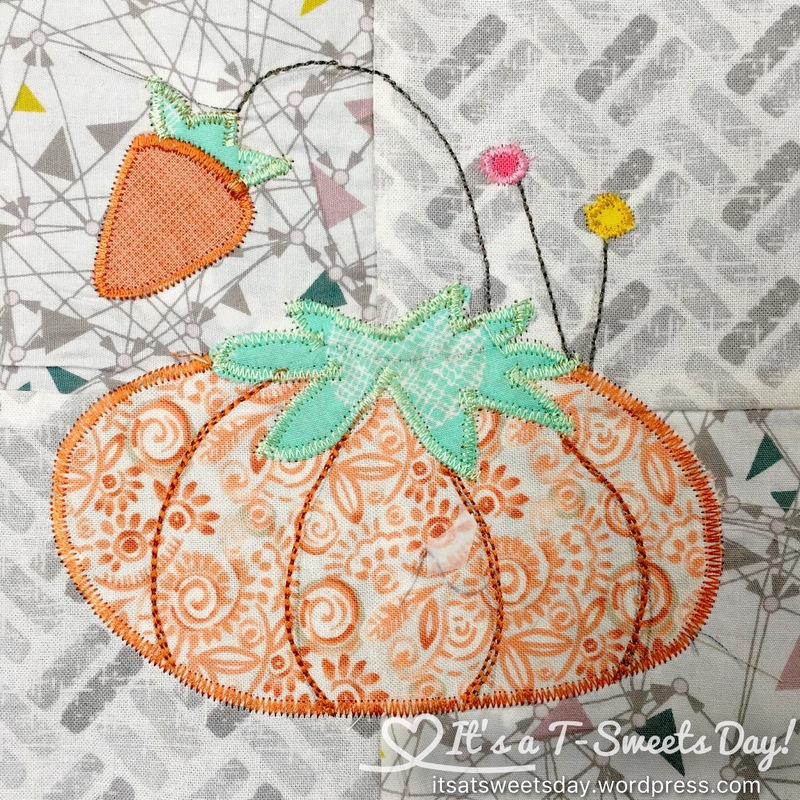 I added the orange French knots. I think they really finish it off well. It’s all good:) –No, it’s all SWEET! Beautiful. This must take such patience. I bet it is therapeutic though. Thank you Margareta! Yes, this one is taking patience. I have 50 blocks done and have 50 more to go! Wow that is a huge project. Can’t wait to see the end result! Your blocks are beautiful! I like the colors you chose. Great choices! Awesome job on catching up. I need to do that! I have 2 to catch up! Only 2?! You are doing great!